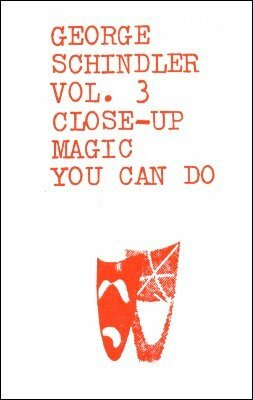 This is volume three of three on close up with the 'Kid from Brooklyn' Magicomedian, George Schindler. Volume three is purely magic and explanations and absolutely no padding. You'll hear a detailed explanation of George's own chop cup routine, a superb ambitious card routine and several highly practical coin effects. Everything released in this recording is actually part of George's regular repertoire; everything has been used over and over again in front of paying audiences who demand and get the best.